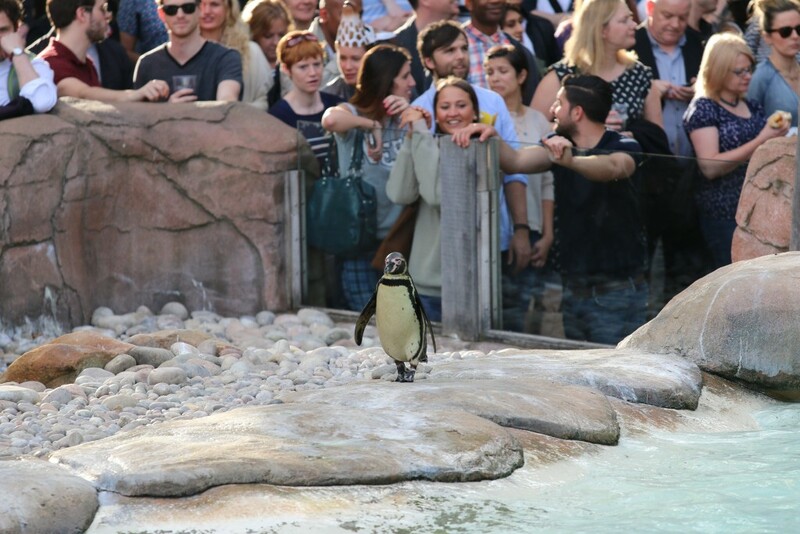 In June, we decided to go to a somewhat different event in a Zoo – Zoo Lates at the ZSL London Zoo, dubbed “London’s wildest night out”. The concept is pretty straightforward: during the summer months, the zoo opens every Friday and Saturday for an evening session from 6PM until 10PM. What’s special about this event is that it adds booze, food and some entertainment into the mix, besides the regular zoo activities like animal shows and feedings. Yes, this sounds good and bad at the same time. Read more to find out about how it went. ZSL London Zoo is based in Regent’s Park in London and opened in 1828, thus being one the oldest in the world. Currently houses more than 15000 animals of 750 species. 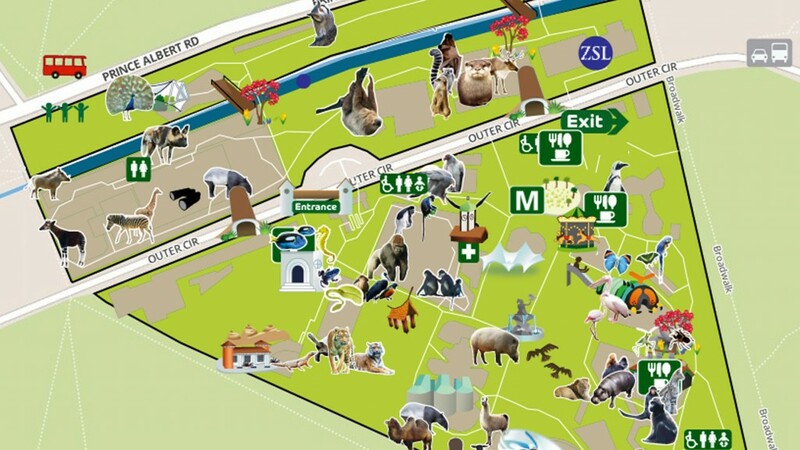 The zoo is operated by ZSL that also owns another and more spacious zoo at Whipsnade. The map helps to understand a little bit better the zoo display. Being zoo fans (more on this theme soon!) and having visited a fairly good amount all over the world, this sounded like an exciting opportunity to yet again visit one. To add to this we had been to this very Zoo back in 2011 but during a normal daily session. We arrived within the opening time (6PM) and went straight to the central plaza where the “party” was at, in order to see how different the zoo looked like. While there we decided to take the opportunity and have something to eat before visiting the zoo. For this event, a number of food stalls are installed all over the place with options for all tastes, mostly around fast food kind of meal. There were also plenty of drinking opportunities. We tasted a couple of different things. Some animal shows and feedings were added for this event, which presented a very good opportunity to see some of them up and close. For some of the shows (e.g., penguins – a crowd favourite), lots of people showed up. The good? Always nice to see a bunch of different animals and taste some decent food. The bad? Honestly, too crowded, noisy and too much drinking. We did manage to get there early and see most of the things while people were still not visiting too much. As the hours passed things got a bit more complicated. Overall the event is interesting as a concept and as a source of revenue for the zoo, but it has some flaws. We would limit a bit the number of people allowed in and also try to control better some areas, as there were reports of people not respecting the animals and disturbing them more than normal. Apart from this we strongly recommend a visit to the zoo and this event! We’ll let the photo gallery speak for itself. Have you been to Zoo Lates? Let us know how it went. Featured image and map by the Zoological Society of London.